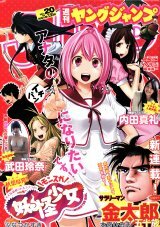 The cover has a small photo of Uchida Maaya (内田真礼). There is a 7 page photo collection of Maaya at the front of the magazine. Maaya is wearing light colored spring clothes, and there are a few large closeups and some full body shots. 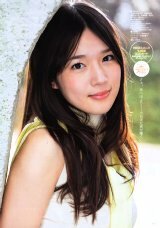 Maaya had appeared in the Young Jump photo collections three times in the past. Young Jump 2014 Vol.4-5, Young Jump 2014 Vol.41 (cover), and Young Jump 2015 Vol.2.